Garlic is one of the most versatile flavors to ever grace a kitchen. It not only tastes wonderful, it’s very good for your body. It is one of Mother Nature’s most precious gift to cooks of alllevels of expertise. allicin, the active ingredient and the source of garlic’s distinctive odor, depends on the method of preparation. Allicin is unstable, and changes into a different chemical rather quickly. Some manufacturers take advantage of this by aging garlic to make it odorless. Unfortunately, this also reduces the amount of allicin and compromises the effectiveness of the product. Some odorless garlic preparations and products may contain very little, if any, allicin. Methods that involve crushing the fresh clove release more allicin. Some products have a coating (enteric coating) to protect them against attack by stomach acids. While garlic is a common flavoring in food, some scientists have suggested that it might have a role as a food additive to prevent food poisoning. There is some evidence that fresh garlic, but not aged garlic, can kill certain bacteria such as E. coli, antibiotic-resistant Staphylococcus aureus, and Salmonella enteritidis in the laboratory. People who ate raw garlic at least twice a week had a 44% lower risk of developing lung cancer, according to a study carried out at the Jiangsu Provincial Center for Disease Control and Prevention in China. The researchers, who published their study in the journal Cancer Prevention Research, had carried out face-to-face interviews with 1,424 lung cancer patients as well as 4,543 healthy individuals. They were asked about their diet and lifestyle habits, which included questions on their smoking habits and how often they ate garlic. Scientists at the Medical University of South Carolina reported in the journal Cancer that three pure organo-sulfur compounds from garlic – DAS, DADS and DATS – “demonstrated efficacy in eradicating brain cancer cells, but DATS proved to be the most effective”. Women whose diets were rich in allium vegetables had lower levels of osteoarthritis, a team at King’s College London and the University of East Anglia, both in England, reported in the journal BMC Musculoskeletal Disorders. Examples of allium vegetables include garlic, leeks, shallots, onions and rakkyo. The study authors said their findings not only highlighted the possible impact of diet on osteoarthritis outcomes, but also demonstrated the potential for using compounds that exist in garlic to develop treatments for the condition. The long-term study, involving more than 1,000 healthy female twins, found that those whose dietary habits included plenty of fruit and vegetables, “particularly alliums such as garlic”, had fewer signs of early osteoarthritis in the hip joint. Diallyl trisulfide, a component of garlic oil, helps protect the heart during cardiac surgery and after a heart attack, researchers at Emory University School of Medicine found. They also believe diallyltrisulfide could be used as a treatment for heart failure. Hydrogen sulfide gas has been shown to protect the heart from damage. However, it is a volatile compound and difficult to deliver as therapy. Hence, the scientists decided to focus on diallyl trisulfide, a garlic oil component, as a safer way to deliver the benefits of hydrogen sulfide to the heart. In animal experiments using laboratory mice, the team found that after a heart attack the mice that had received diallyl sulfide had 61% less heart damage in an area of risk, compared to the untreated mice. The team presented their findings at the American Heart Association (AHA) Scientific Sessions conference in Orlando, Florida in November, 2011. Cardiomyopathy is the leading cause of death among diabetes patients. It is a chronic disease of the myocardium (heart muscle), which is abnormally thickened, enlarged and/or stiffened. The team fed diabetic laboratory rats either garlic oil or corn oil. Those fed the garlic oil experienced significantly more changes associated with protection against heart damage, compared to the corn oil fed animals. Human studies will need to be performed to determine whether they confirm the results of this study. supplementation might be on the blood lipid (fat) profile of patients with high blood cholesterol. Their study was published in the Journal of Nutritional Biochemistry5. The study involved 23 volunteers, all with high cholesterol; 13 of them also had high blood pressure. parameters, as well as kidney and liver function. in the blood samples, which demonstrates reduced oxidation reactions in the body.” In other words, the garlic extract supplements reduced high cholesterol levels, and also blood pressure in the patients with hypertension. The scientists added that theirs was a small study – a larger one needs to be carried out. Doctors at the Department of Urology, China-Japan Friendship Hospital, Beijing, China, carried out a study evaluating the relationship between Allium vegetable consumption and prostate cancer risk. They gathered and analyzed published studies up to May 2013 and reported their findings in theAsian Pacific Journal of Cancer Prevention. The study authors wrote “Allium vegetables,especially garlic intake, are related to a decreased risk of prostate cancer”. The team also commented that as there were not that many studies, they recommend further well- designed prospective studies be carried out to confirm their findings. Alcohol-induced liver injury (ethanol-induced liver injury) is caused by the long-term over- consumption of alcoholic beverages. Their study was published in Biochimica et Biophysica Acta (BBA)7. The researchers concluded that DADS may help protect against ethanol-induced liver injury. Microbial infections during pregnancy raise a woman’s risk of preterm delivery, several studies have demonstrated. Scientists at the Division of Epidemiology, Norwegian Institute of Public Health, wanted to find out what impact foods might have on antimicrobial infections and preterm delivery risk. The study and its findings were published in the Journal of Nutrition. Ronny Myhre and colleagues concentrated on the effects of Alliums and dried fruits, because a literature search had identified these two foods as showing the greatest promise for reducing preterm delivery risk. The common cold Julia Fashner, MD; Kevin Ericson, MD; and Sarah Werner, DO, at St. Joseph Family Medicine Residency, Mishawaka, Indiana, carried out a study titled “Treatment of the Common Cold in Children and Adults”, published in American Family Physician. They reported that “Prophylactic use of garlic may decrease the frequency of colds in adults, but has no effect on duration of symptoms.” Prophylactic use means using it with the intention of preventing disease. Garlic helps you get your daily recommended intake of vitamin B-6, or pyridoxine. Getting enough B-6 supports your metabolism, since the nutrient helps you break down the protein, carbohydrates and fats from your diet. It also supports good mental health — vitamin B-6 helps you make serotonin and dopamine, two brain hormones that boost your mood. 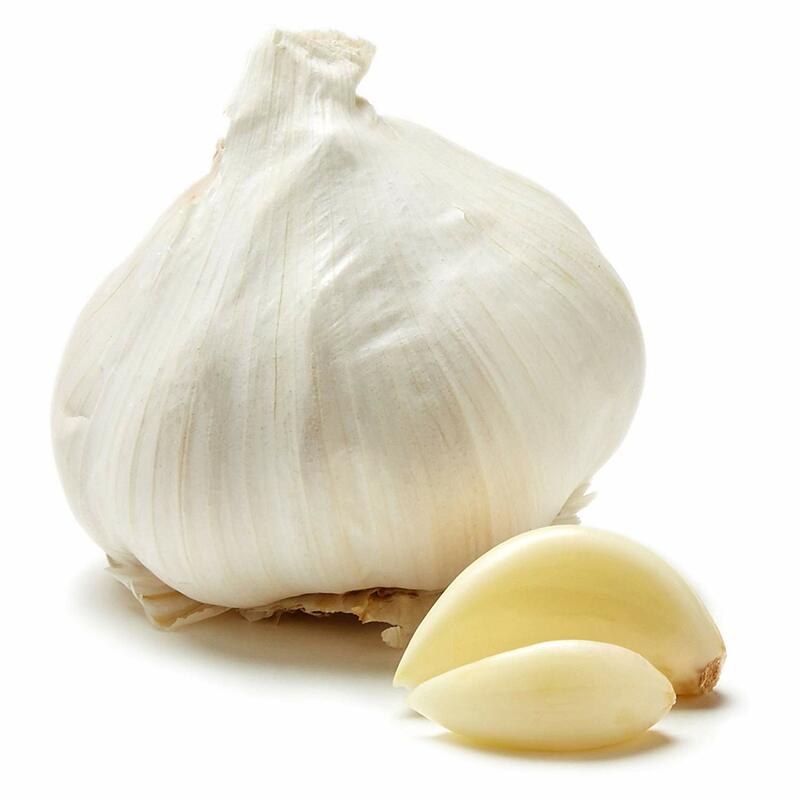 A serving of three garlic cloves contains 0.11 milligrams of vitamin B-6, providing approximately 8 percent of the 1.3 milligrams you need daily,according to the Linus Pauling Institute. that keeps your teeth, bones and other connective tissues strong. A 3-clove serving of garlic provides 2.8 milligrams of vitamin C. This represents approximately 4 percent of the recommended daily vitamin C intake for women, according to the Office of Dietary Supplements, or 3 percent for men. You also get a small percentage of your daily vitamin B-1, or thiamin, requirements when you eat garlic. Three cloves of garlic contain 0.02 milligrams of vitamin B-1, or slightly less than 2 percent of your daily recommended intake, according to the Linus Pauling Institute. Thiamin helps you metabolize amino acids, the compounds your body needs to make protein, and it also helps you derive energy from food. Adding garlic to your diet can play a small role in protecting against thiamin deficiency, a potentially fatal condition that damages your heart and nervous system.